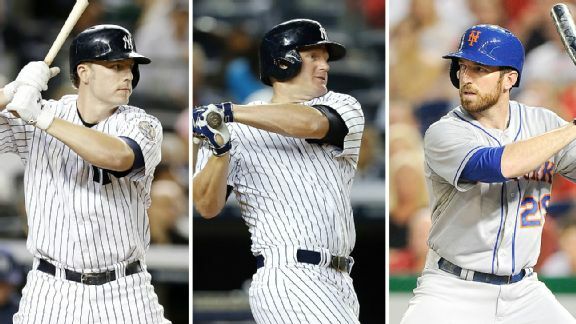 The Brewers have added ex-Yankees Mark Reynolds and Lyle Overbay, lessening the need to acquire Ike Davis.Days after adding Mark Reynolds, the Milwaukee Brewers now have signed Lyle Overbay to a minor-league deal. The additions appear to signal that Milwaukee is prepared to go without acquiring Ike Davis. The Brewers once appeared the most logical landing spot for Davis. Overbay, who turns 37 next Tuesday, hit .240 with 14 homers and 59 RBIs in 445 at-bats for the Yankees last season. He played for the Brewers in 2004 and '05.